For more information regarding the relationship between the Reflections and Dark Reflections Series (as well as a suggested reading order) please go here. Get your copy of Broken today! Shape shifter Alec Graves has spent nearly a decade trying to keep his family from being drawn into open warfare with a larger pack. The new girl at school shouldn’t matter, but the more he gets to know her, the more mysterious she becomes. Worse, she seems to know things she shouldn’t about his shadowy world. Is she an unfortunate victim or bait designed to draw him into a fatal misstep? If she’s a victim, then he’s running out of time to save her. If she’s bait, then his attraction to her will pull him into a fight that’ll cost him everything. 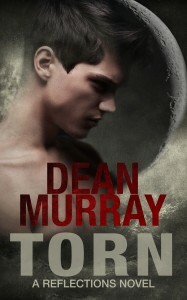 Get your copy of Torn today! Get your copy of Splintered today! Get your copy of Intrusion today! Adriana Paige didn’t see her breakup with Alec Graves coming any more than he did, but at the time she couldn’t see any other way to stop him from turning into some kind of monster. For weeks now she’s been haunted by the worry that she made a terrible mistake, but she’s thousands of miles away from Sanctuary now and there’s nothing left but to try and soldier on. Alec Graves had just finished standing off the single most dangerous group of shape shifters in the world when Adri told him she was moving away. He’d always known that being the alpha of his small pack would come with costs, but he never imagined that losing Adri would be one of them. 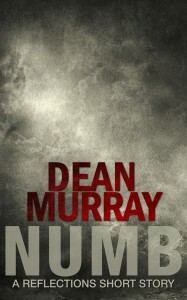 Get your copy of Numb today! Kristin has always been firmly grounded in reality. Trading in small-town Idaho for an Ivy-League school wasn’t going to be an easy proposition and making it happen wasn’t going to leave her time for unnecessary things like crushes on boys. Kristin is completely out of her depth. Her one hope is a mysterious guy with dangerous skills and a dark past. He’s the kind of guy that Kristin knows she shouldn’t get involved with, but as their attraction grows it becomes apparent that being with him is going to require an even bigger sacrifice than she realized. Get your copy of Trapped today! The power he needs to protect his friends and family is just outside of Alec Graves’ reach. The dominant shape shifter pack in North America is circling like vultures and there are other, more savage opponents approaching in the distance. Given the danger he’s in, Alec doesn’t have time for a broken heart, but Adri’s departure has left him barely able to function. The pressures inside his pack are building to lethal levels and for the first time in his life, he’s not sure he can walk the path that honor demands of him. Walking out on Alec was the hardest thing Adri had ever done, but she didn’t bargain for the long-term impacts leaving him would involve. Her inability to get past her feelings for him is starting to impact nearly every aspect of her life, and soon it will start affecting her mother. Even more concerning, she now knows what the darkness really hides. Dangers she thought she’d left behind in Sanctuary are stalking her again, but this time Alec’s pack isn’t in a position to protect her. Get your copy of Forsaken today! Adri is the happiest she’s ever been, but a noose is slowly tightening around the entire pack. Alec is more powerful than ever—as his victory in Chicago demonstrated—but despite that the Coun’hij has the perfect tool for killing him and shattering his pack. 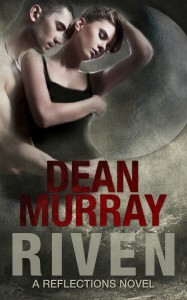 Get your copy of Riven today! 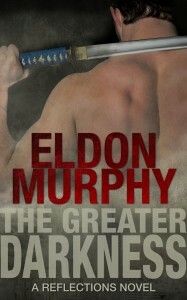 Get your copy of The Greater Darkness today! Geoffrey has been called a lot of things: warrior, werewolf killer, slave, lover…vampire…soulless. They are all the truth. He’s killed hundreds, possibly even thousands of people without a single regret, but that’s only part of the truth. 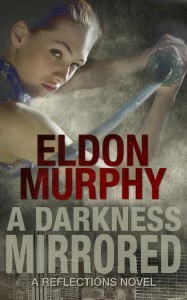 Get your copy of A Darkness Mirrored today! Jasmin thought she was willing to pay any price to save the one and only guy she’s ever loved, but this time the price for rescuing Ben may be too steep—even for her. Get your copy of Driven today! I felt like I’d lost everything. My home, my girlfriend, my friends, they were all washed away by a group of shape shifter thugs who were determined to keep their boots on the throat of every wolf and hybrid in North America. Graves Manor being burned to the ground was the last straw. I was relieved when Alec, the leader of our pack, told us to scatter and go to ground while he worked on a plan that would allow us to fight back against the hybrid enforcers who had come so close to killing us. I thought Ash, Kristin and I were in for a few quiet weeks. I didn’t realize one of my companions was a ticking bomb or that the other was hiding a secret that was going to change the world as I knew it. Get your copy of Lost today! Just when it looked like we’d won, an even bigger group of thugs stepped in, and this time I ended up as one of the casualties. I thought Wyatt’s arrival was the lifeline I’d been looking for, but I had no idea just how dangerous his secrets were. 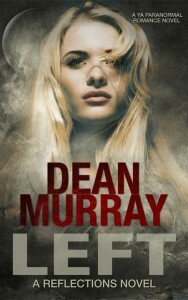 Get your copy of Left today!